[A/N]: I&apos;m back because I just adore writing this story so much and it makes me as happy as it makes you so there you go! The couple nodded as they both looked at the screen and the omega smiled once he heard their heartbeats. It was the first time they ever heard it so Louis got a bit emotional and started crying which of course, it got the alpha worried. Harry wrapped his arms around his omega and brought his head to rest against his chest while he rubbed his back soothingly. He whispered against his fringe, "Shh, everything is going to be alright. Why are you crying, my love?" and kissed the top of his head. 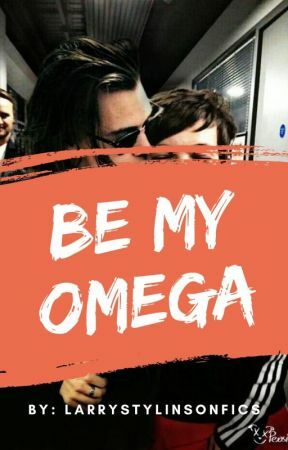 The doctor continued to move the wand around as he said in assurance, "Don&apos;t worry, your omega is just overwhelmed, that&apos;s all," as he turned around for a second to take the tissues and handed it to the omega. Louis sniffled as he took the tissue box and whispered a shy &apos;Thank you&apos; because he couldn&apos;t believe that he started crying in front of the doctor. He wiped his tears away and rested his head against his alpha&apos;s chest as he looked at their triplets moving around. Harry whispered in his ear while looking at the screen, "They&apos;re going to be as beautiful as you and will love you so much." Louis smiled even though his nose was red and cheeks flushed pink from crying but he doesn&apos;t care because he is in his alpha&apos;s arms where he feels safe the most. As he listened to their heartbeats, he looked up at him and said softly, "You&apos;re beautiful too, don&apos;t forget that," and pecked his chest before looking back at their triplets. Harry was taken back because no one has ever called him beautiful since he is an alpha who is supposed to be this strong, tough man but in all reality, he would crack if anything happened to his omega. After that, he just smiled and continued to look at the screen while the doctor was informing them about their triplet&apos;s health. "They are growing in a healthy manner but Louis try to eat a bit more because you&apos;re carrying triplets," and when the doctor noticed the omega&apos;s worried face when he sat up, he added quickly, "Nothing is wrong with the babies, don&apos;t worry yourself now because worrying is not good for you." Harry furrowed his eyebrows as he said, "Well, how much does he have to eat? We both eat three meals a day." Louis added in, hoping that it would make things better, "I eat at midnight when I&apos;m hungry so that&apos;s four meals for me." The doctor looked back at the screen as he said, "The weight is nowhere near dangerous. By the way, have you been taking your vitamins?" Louis nodded immediately and said, "Yeah, I still take them and my dizziness decreased." Harry said in agreement, "He takes them every single day and never went a day without them." The doctor hummed in approval and said, "That&apos;s such a good improvement. Don&apos;t forget to feed your cravings and eat fruits if possible." Louis slowly relaxed and leaned back into his alpha&apos;s arms as he said quietly, "Alright," and bit his bottom lip before asking, "C-Can we find out the gender?" The doctor looked back at him in a shocked manner and said, "Finally?" and smiled because he already knew their genders but has always tried his best not to reveal it by mistake. That got Harry&apos;s attention because he was now looking at the screen with interest then the omega said, "Yeah, I&apos;m ready to find out because trying to think of baby names for triplets will be difficult if we didn&apos;t know the gender." His alpha said, "I honestly don&apos;t know how I will be able to pick baby names so this might help." The doctor was looking at the screen with focus as his glasses were on the bridge of his nose and pointed at one of triplets. He said, "This one is a girl," then pointed at another one and added, "Girl and..." pointed at another one then paused. Louis got a bit worried when he didn&apos;t speak so he said, "And...?" while holding his alpha&apos;s hand. "This one is definitely a boy." 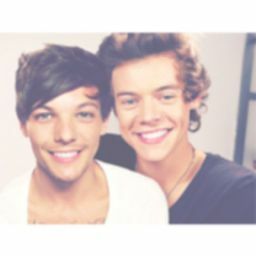 Harry smiled widely as he looked at the screen and whispered, "Beautiful, so utterly beautiful. That&apos;s our babies," and looked down at his omega who was sobbing again. He gasped and hugged him in his arms as he whispered, "No, don&apos;t cry now, it&apos;s going to be alright." Louis blew his nose and said while moving the tissue around in his hand, "I still can&apos;t believe that I&apos;m going to be a mom. Two girls and one boy, can you imagine?" as he looked up at his alpha who was watching him fondly while still holding him close. The doctor asked, "Do you want a sonogram?" Both of them nodded with a smile while they were wrapped up in each other&apos;s arms then watched the doctor leave the office. Harry wiped the gel off of his omega&apos;s baby bump and threw the scattered tissues in the trash. He set his jumper down gently and kissed his baby bump before whispering, "My two beautiful girls and my little lad. I can&apos;t wait to see your faces soon." Louis smiled and said softly, "You&apos;re going to be a wonderful dad, you know that?" and cupped his cheeks gently to place a soft kiss to his lips. Harry kissed him back before whispering, "I want them here already, I can&apos;t handle seeing you in pain. I wish I could replace my health with your pain so that you won&apos;t suffer." The omega always thinks that he isn&apos;t able to love Harry more than he already does but he is always proven wrong every single day. He smiled as he looked up at him and said, "Even if it was possible, I wouldn&apos;t let you," and sat up because they are about to leave but were only waiting for their sonogram. Harry shook his head as he got in between his legs, wrapped his arms around him and hid his face in his neck. He said, "I love you, I really do." Before Louis was able to answer, the doctor was back with the sonograms and handed it to the couple. He said with a smile, "Don&apos;t forget your next appointment. Have a lovely day you two." Harry took it and slowly helped his omega down then they both left the hospital. When they were gone, the doctor said with a grin, "I ship it," while nodding to himself.